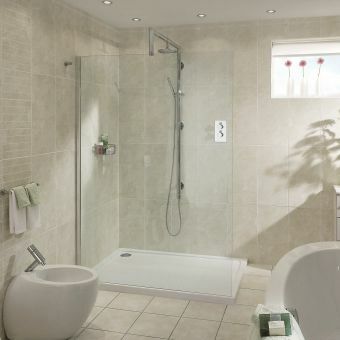 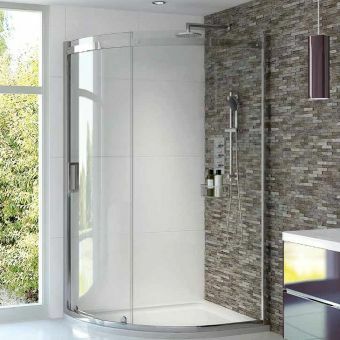 Aqata is a renowned UK manufacturer of innovative showering solutions. 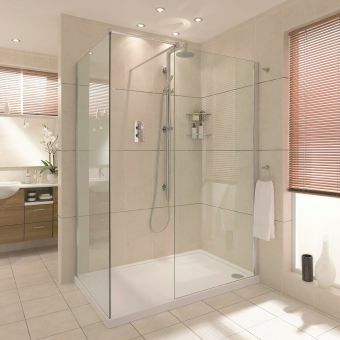 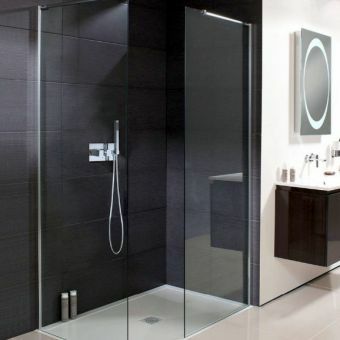 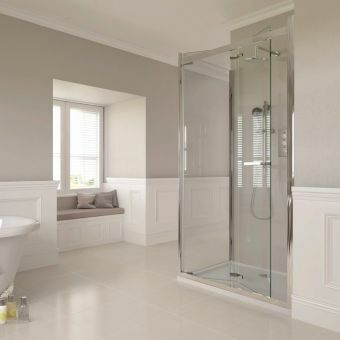 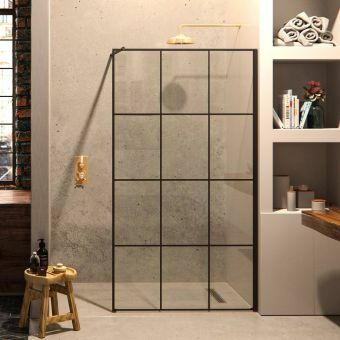 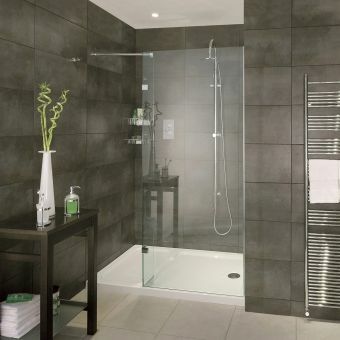 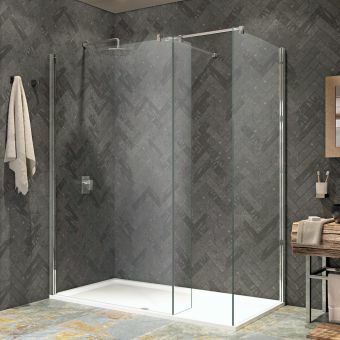 Their Spectra series of frameless glass enclosures include this walk in corner option, which is not only highly practical but also lovely to look at and will enhance any bathroom or wet room. 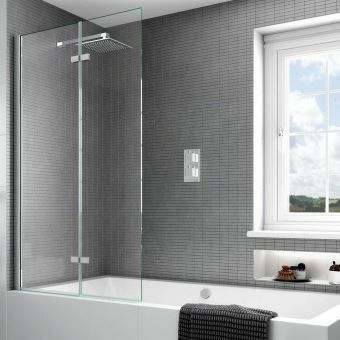 The panels of the SP430 are of clear glass, for which Aqata's ClearShield protective system is available (but not included in the price shown). 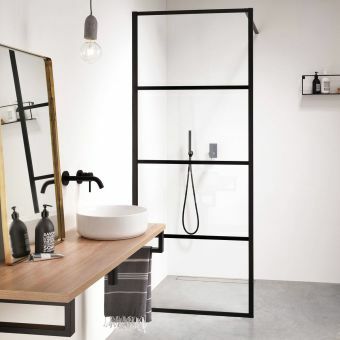 Fittings are all of polished chrome. 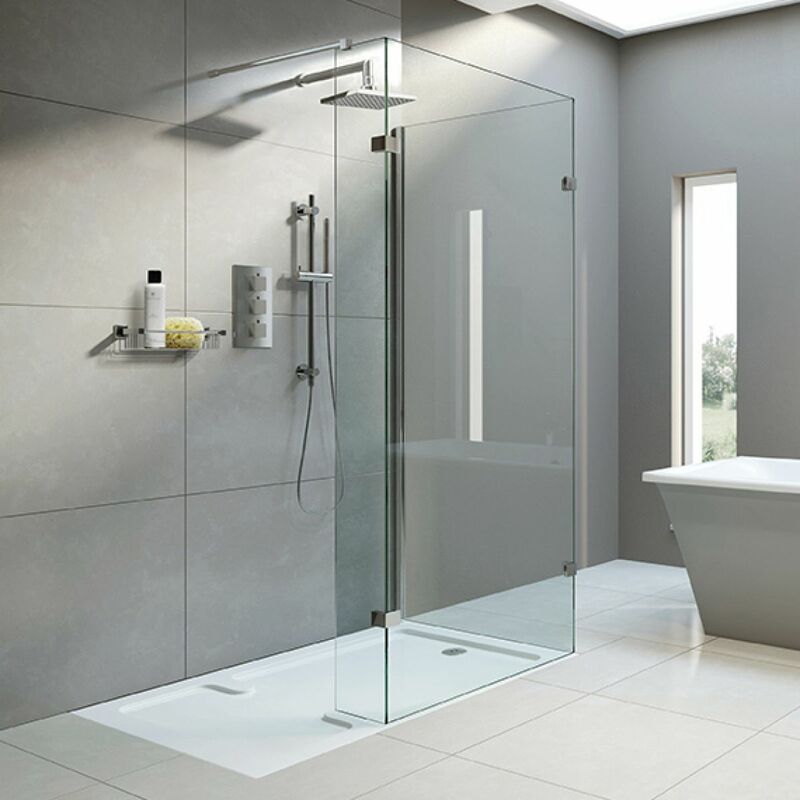 A dedicated low-level shower tray, designed exclusively for the SP430, can be ordered separately and will perfectly complete the enclosure, which can, however, also be fitted on to a wet room floor. 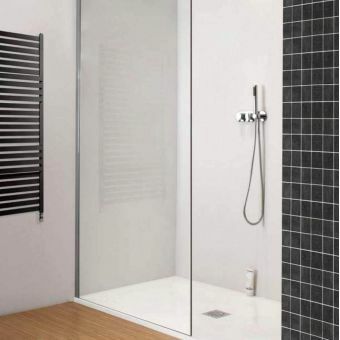 The enclosure is available in two sizes and with either left- or right-hand entry.